Regardless of whether an employee is a high income earner, they are entitled to recover any amounts owed to them relating to their employment. A high income threshold only exists in relation to unfair dismissal applications. Section 323 of the Fair Work Act (2009) Cth provides that an employer must pay an employee amounts payable in relation to the performance of work in full and at least monthly. Importantly this includes incentive-based payments and bonuses which may be payable pursuant to an employment contract, enterprise agreement or modern award. In Murrihy v Betezy.com.au Pty Ltd (2013) FCA 908 the court held that an employer cannot claim that an employee cannot prove the amount owed to them because the employer themselves failed to keep records necessary to calculate commission earnt. The court considered this to be a breach by the employer of an implied duty to cooperate with the employee and to ensure the employee receives all the benefits of his or her employment contract. It is however advised that an employee always seek from their employer, and retain copies of, payslips and records of any commission earnt to avoid ambiguity. 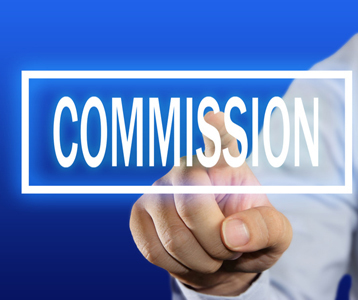 If the amount of a commission owed is referred to in a contract of employment, any non-payment of this amount is actionable by way of suing the employer for breach of contract. A court may award damages in the form of compensating the employee for monies owed. Ordinarily breach of contract claims can be heard by the Magistrates’ Court, however if a claim is made for money owed exceeding $100,000 it must be heard by the County Court of Victoria. the normal rule of evidence do not apply and a less formal approach is taken in court proceedings. What is whistleblowing?There is no universally accepted definition of whistleblowing.